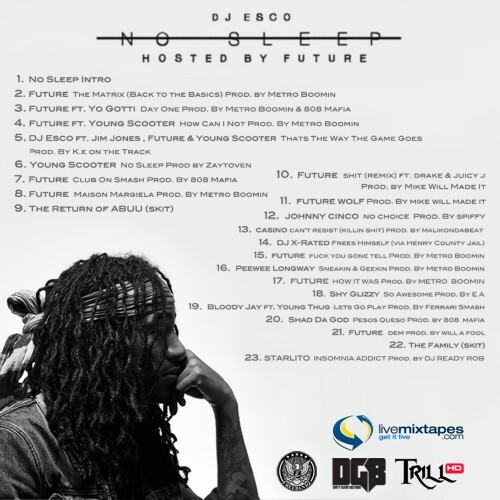 DJ Esco has just released his new mixtape No Sleep and on the mixtape are 6 exclusive Future tracks, along with 17 other tracks. Aside from Future, the project includes features from Yo Gotti, Young Scooter, Jim Jones, Young Thug and more. UPDATE: We separated the exclusive Future tracks from the rest of the mixtape. You can stream and download them below.